Believe it or not, but meat pies have been a dish that humankind has been enjoying since the ancient Egyptians first created one circa 9500 BC when bakers would incorporate nuts, honey and fruits into the bread dough they prepared for the pharaohs. The Greeks would wrap meat in a flour and water paste that hardened into a crust while baking to not only seal in the juices but also to act as a vessel for serving. Regardless of the long history, there's just something about a meat pie that screams warmth and comfort. Just imagine sinking your teeth into the flaky, warm crust only to reveal the savory, well-seasoned filling, tendrils of steam escaping while you gobble, grease dribbling down your chin. Instead of fantasizing about it, why not just go get one? Though meat pies can be found all over New Orleans (and Louisiana, for that matter), one can certainly opt for something a bit more creative than a thawed Mrs. Wheat's. Not that I'm knocking the “Original Natchitoches Meat Pie,” mind you, just broadening your horizons a smidge. 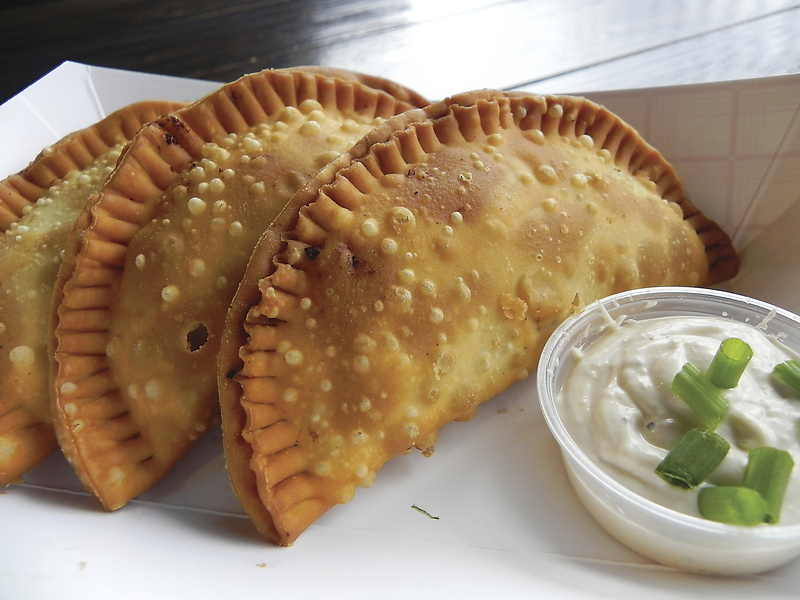 For example, why not try the Tchoupitoulas Meat Pie now being served at NOLA Brewing Tap Room? Just in time for the cold weather, pit-master Neil McClure has re-released his popular meat pie filled with ground beef, brisket and smoked onions that have been simmered with NOLA Brown Ale and other seasonings and then thickened with a roux. Best part? At only $3.50 each, you could eat three or even four pies and still have enough money left over for a brew or two. Over at El Pavo Real, chef/owner Lindsey McLellan offers fabulous Mexican meat pies, otherwise known as empanadas. The flaky, buttery pastry is filled with pork picadillo, ground pork simmered with seasonings like jalapeno pepper, chili powder and cumin. Each order is only $8 and comes with three soul-warming pies and a small dish of thick crema for dipping. At that price, you could throw in a couple of chipotle-rubbed hangar steak tacos and have yourself a feast. Known for his decadent duck empanadas, Brian Landry at Borgne also offers a trio of slow-smoked pork empanadas served with white BBQ sauce for a mere $10. Certainly not bad when you consider that the restaurant is part of the Besh empire. In fact, Besh Steak inside Harrah's Casino also offers meat pies, but theirs are filled with Louisiana shrimp and crabmeat and served with a green garlic aioli. Those seafood pies are a little bit pricier at $14 a plate but well worth the oohs and ahhs your mouth and tummy will feel while you devour. Though there are likely hundreds of other spectacular meat pies in the Greater New Orleans Area, there's one more I'd like to highlight, and that is the empanadas calenas at Mais Arepas. 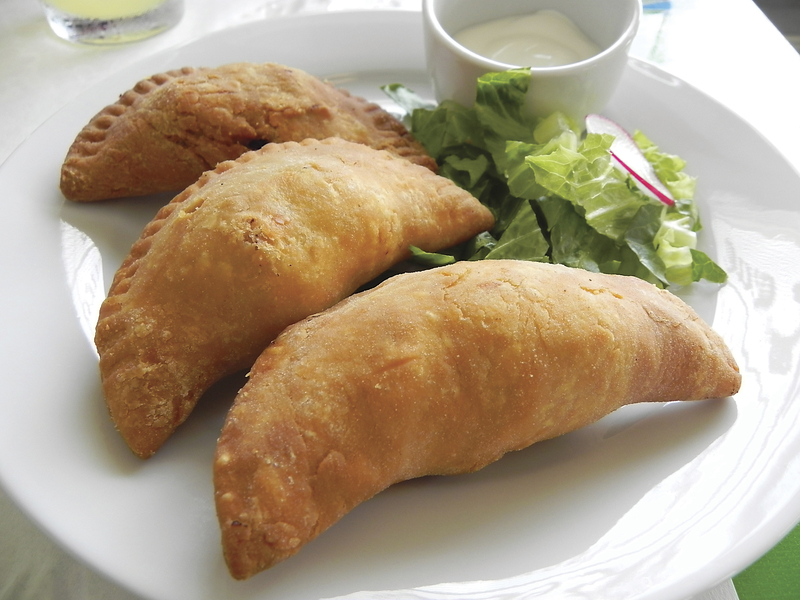 These little beauties are made Colombian-style with a yellow cornmeal crust filled with shredded skirt steak, sofrito (a tomato, onion and coriander sauce) and papa criolla, which is a small yellow potato with a creamy texture. These mouth-watering pies are served with aji valluno, a Colombian salsa made with fresh cilantro, jalapeno, tomatoes and green onions, and will only set you back $9. What meat pies matter to you?